Sheffield Wednesday have added another prospect to their goalkeeping ranks. Having spent a period on trial this summer and played for the under 23s, 20 year-old stopper Cameron McCulloch has signed a professional contract with the club. McCulloch had had youth spells at Liverpool, Manchester City and Bury and joins young keepers Cameron Dawson, Joe Wildsmith and Dan Wallis at Wednesday, as well as the hugely experienced Keiren Westwood. 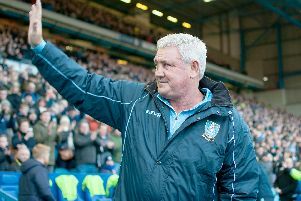 McCulloch told swfc.co.uk: " I’m very happy to sign for Sheffield Wednesday. It’s an intense environment coming on trial at a professional football club, but you’ve got to grab it with both hands. “I’ve been welcomed into the group, they have been very co-operative with me. For a big club like Sheffield Wednesday to have two goalkeepers from the academy playing in the Championship, it makes you think ‘wow’, you really have a chance at this club.